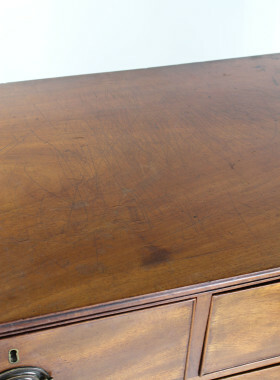 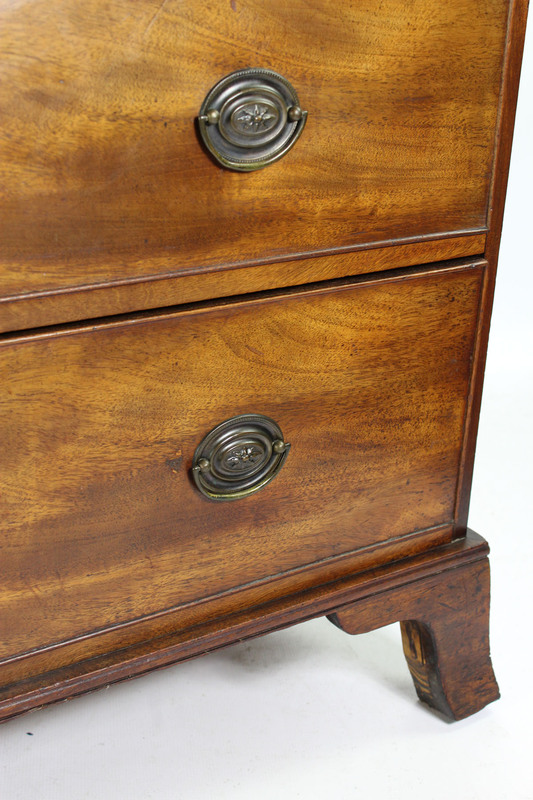 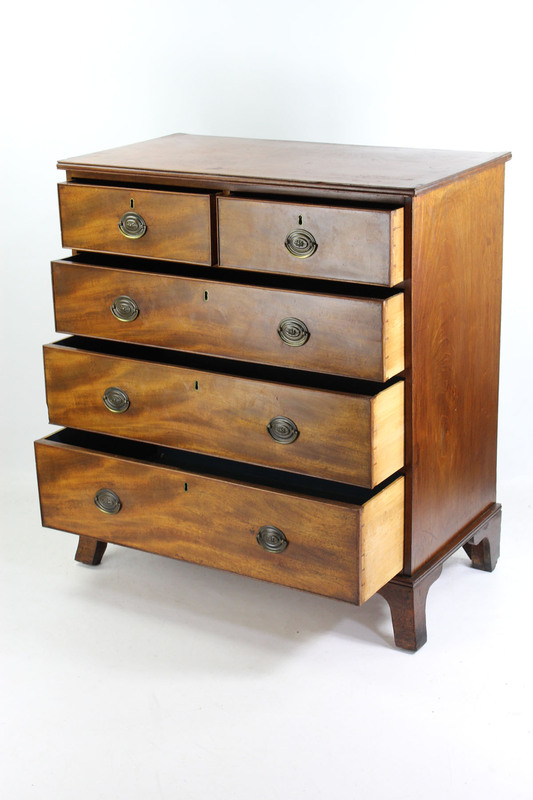 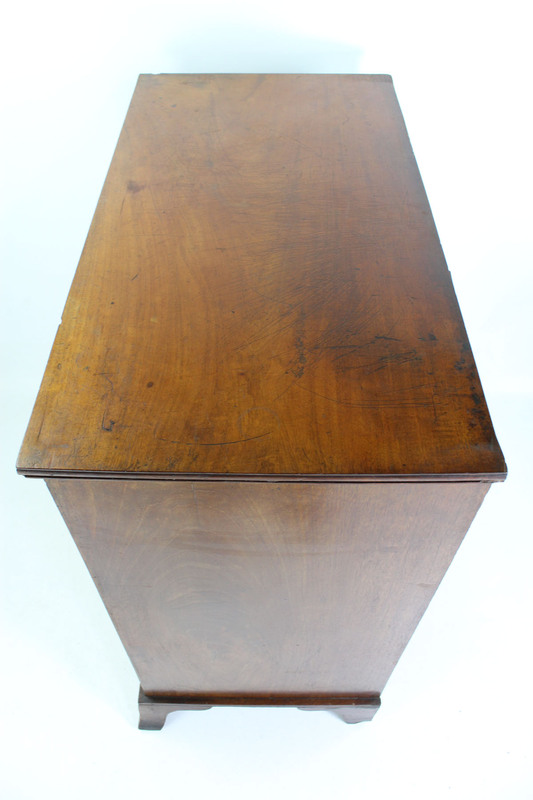 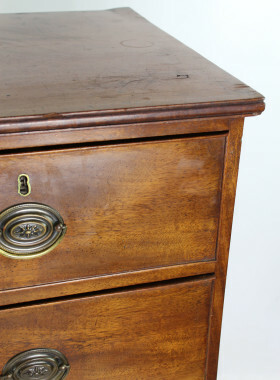 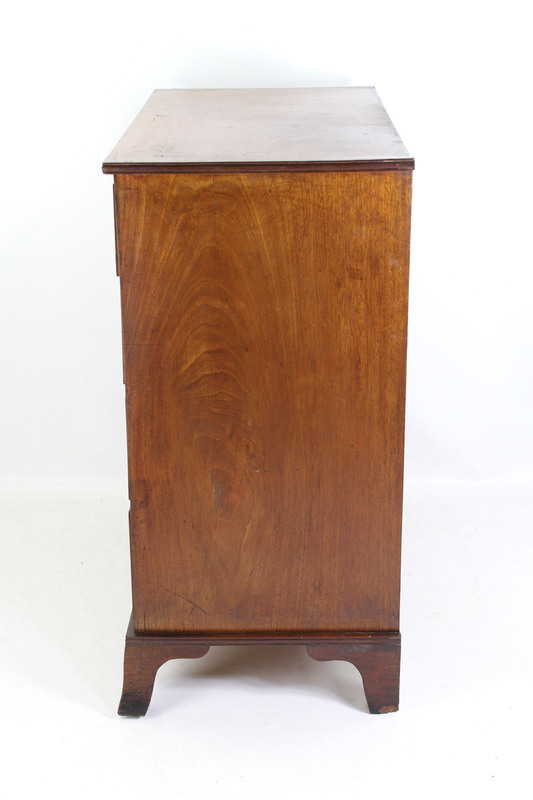 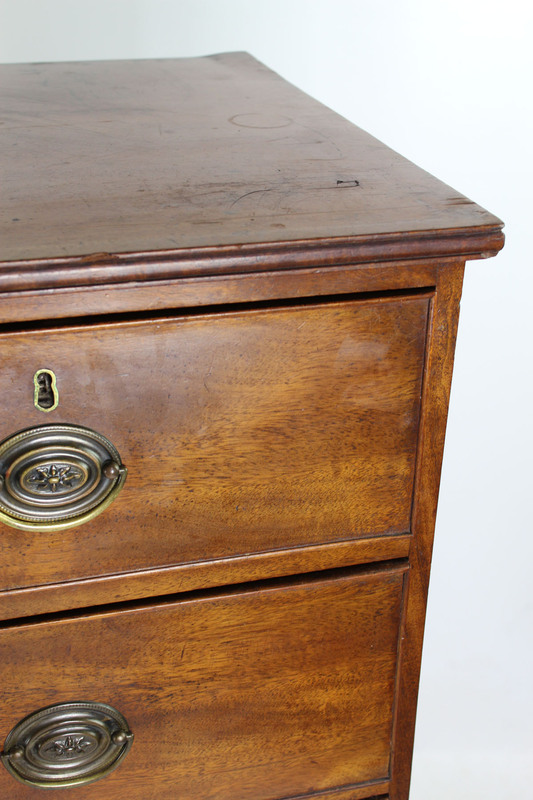 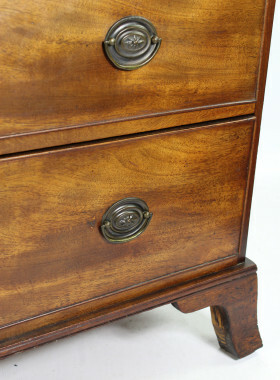 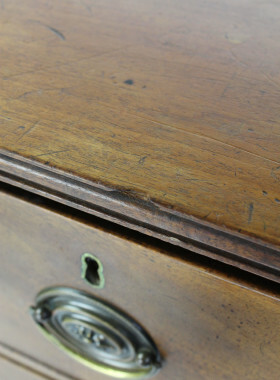 A good quality antique late Regency /early Victorian mahogany chest of drawers. 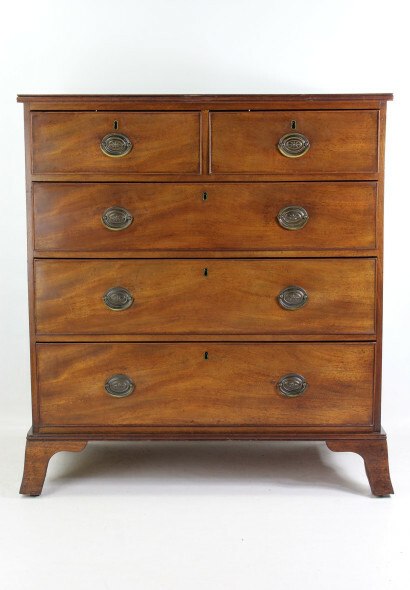 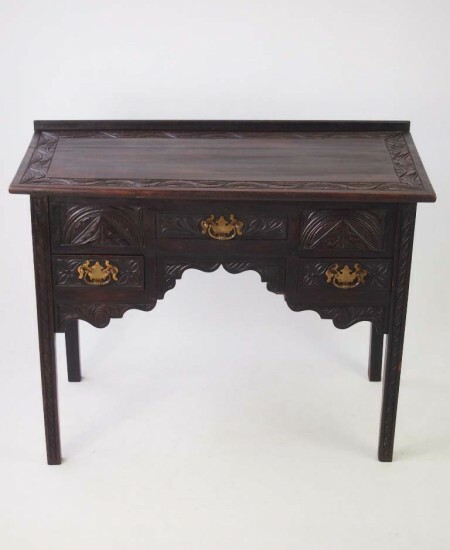 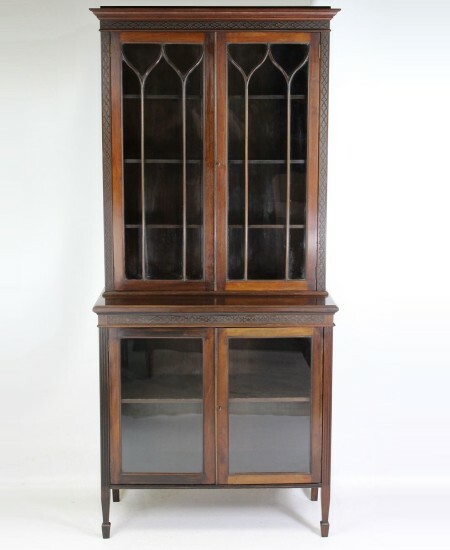 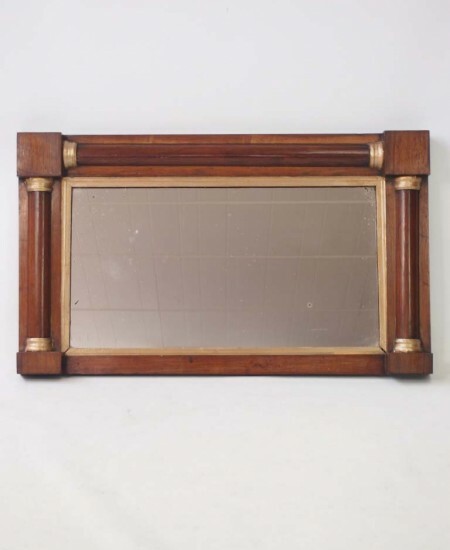 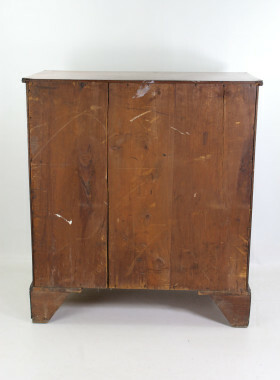 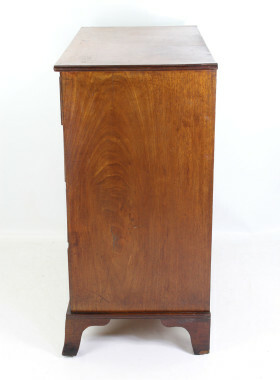 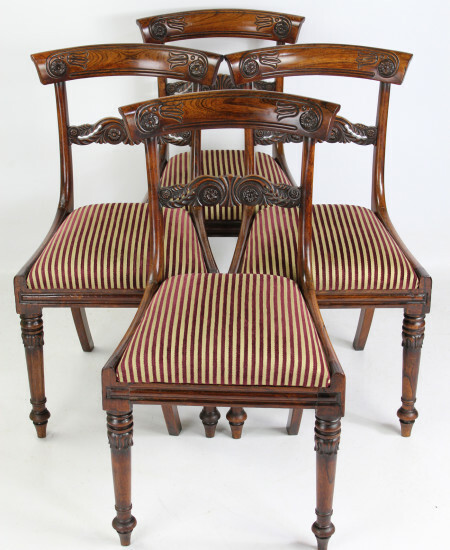 Categories: Antique Chests & Coffers, Antique Mahogany Furniture, Regency Furniture, Victorian Furniture. 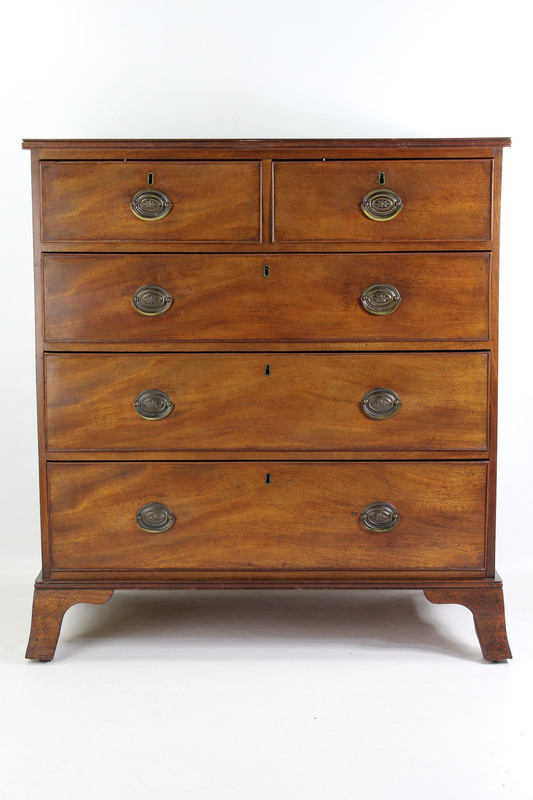 A good quality antique late Regency /early Victorian mahogany chest of drawers. 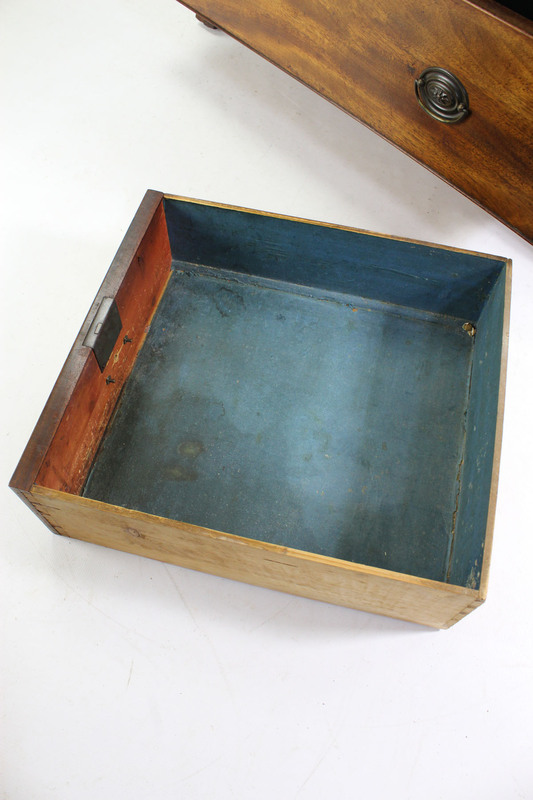 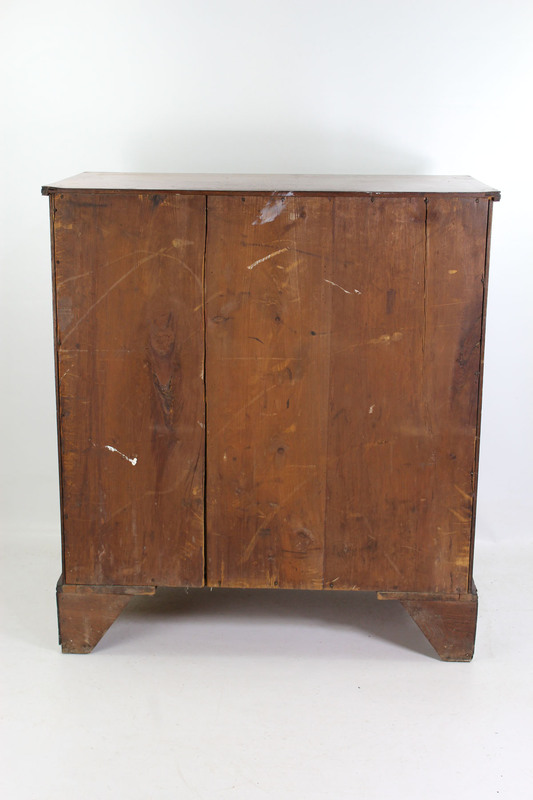 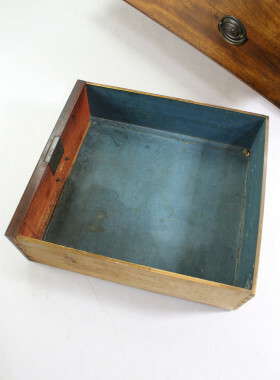 In good original condition with good colour and patina and of a good tall size. 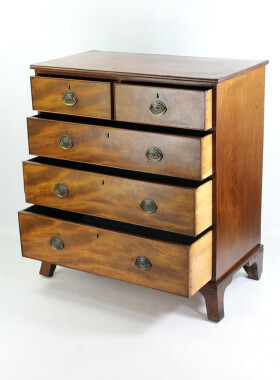 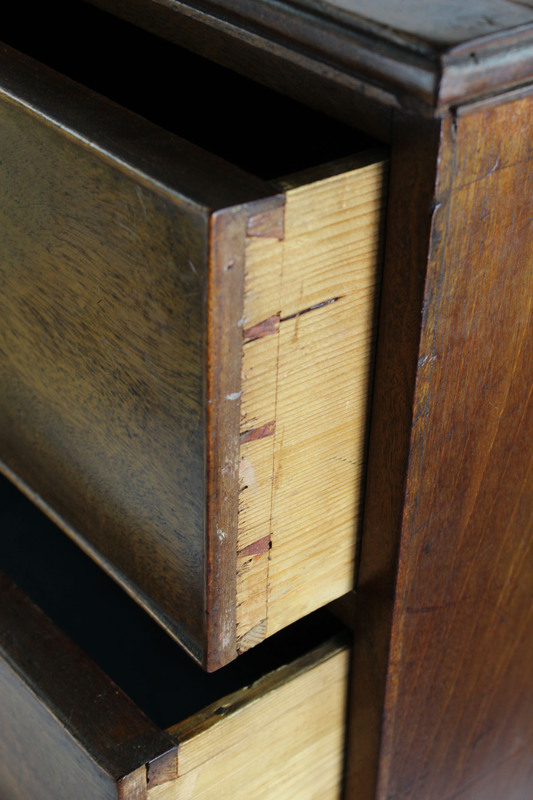 The drawer fronts with beautifully figured mahogany, the moulded top above 2 small drawers and 3 larger graduated drawers with brass drop handles and steel locks, standing on out swept feet. 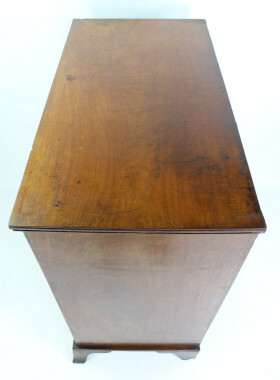 Dating from circa 1850. 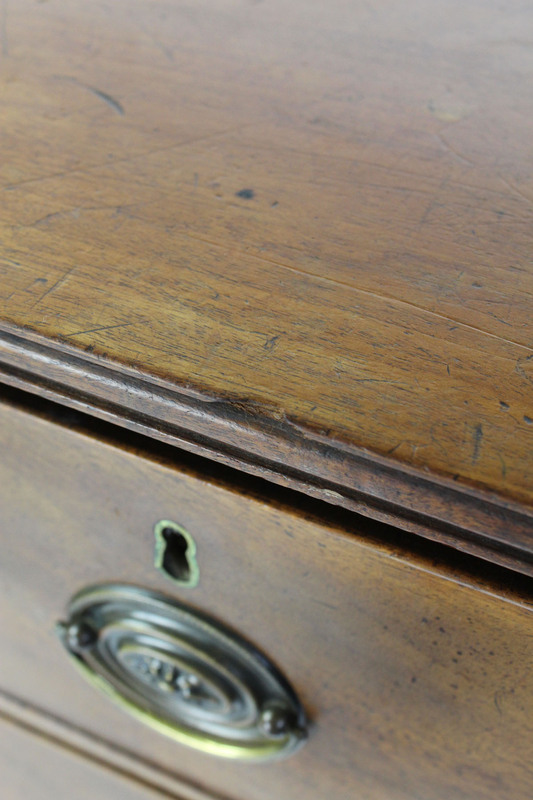 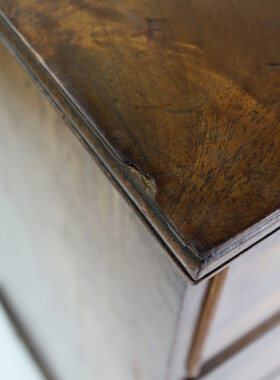 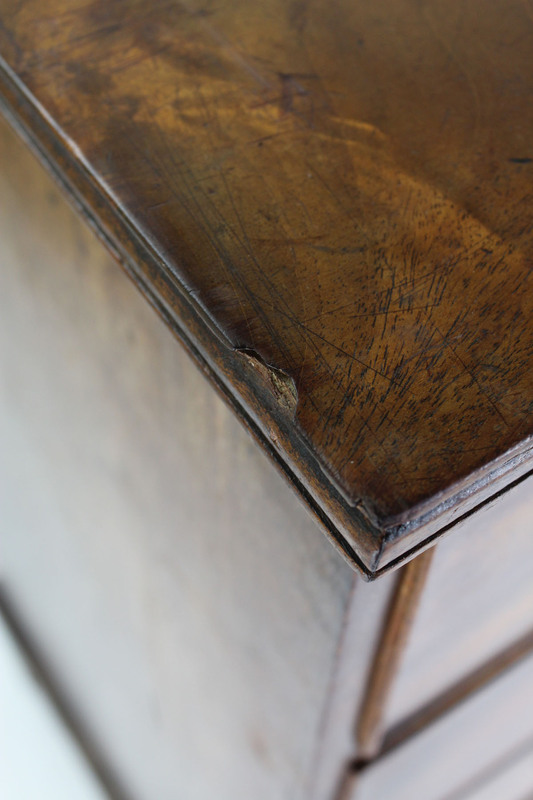 Good patina to mahogany. 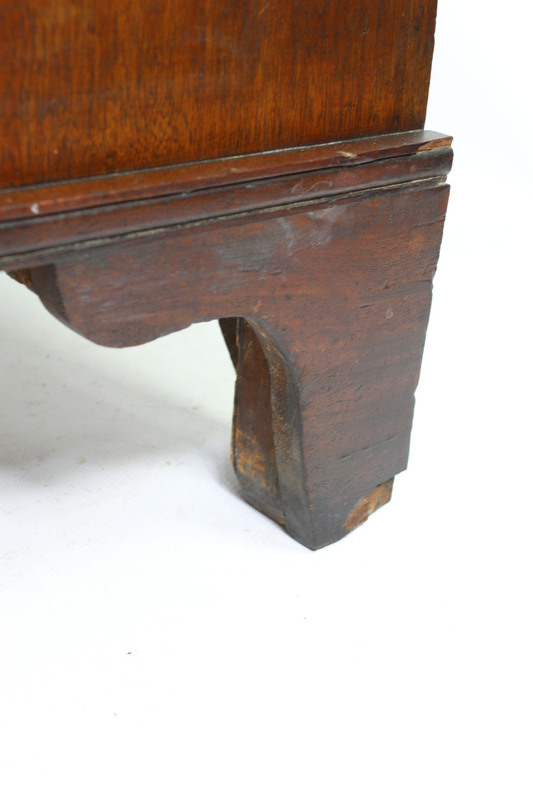 Wear and marks commensurate with age. 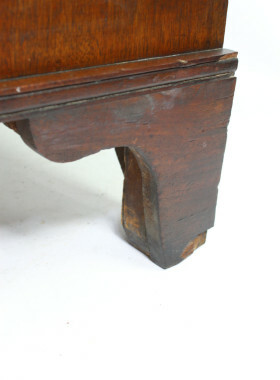 Some veneer loss to the back feet. 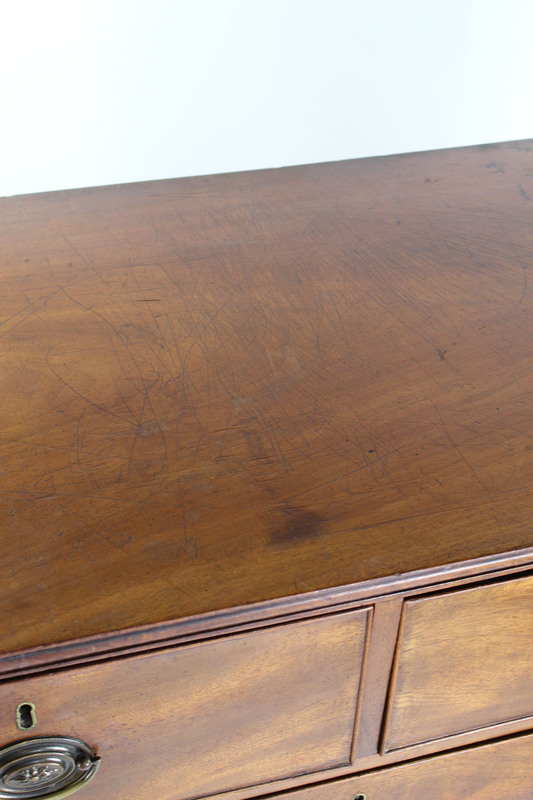 Scratches to top. 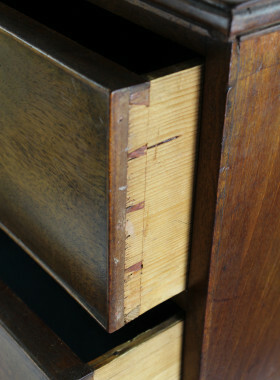 Some missing sections to outer edge of top (see photos).